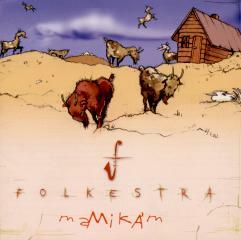 Folkestra plays characteristic, particular world-music. The music presents folk music, jazz, the restriction and the improvization, the liveliness and the energy at the same time. The music based on Hungarian, Bulgarian, Turkish folk music, Balkanian, latin rhythms and jazz. Folkestra are: Beáta Palya, Béla Ágoston, Szabolcs Árkosi, András Monori, Tamás Kovács, Gábor Pusztai, Péter Nagy.